From ancient times people use the gifts of the bees, but it took many centuries for it to penetrate into the mysteries of these insects. 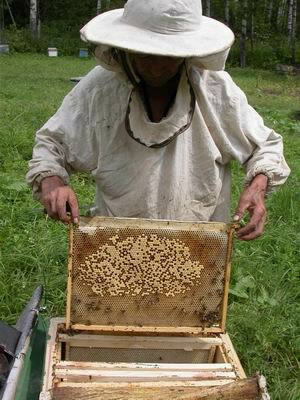 Beekeeper is an ancient profession. In ancient times, people hunted for honey – seek out hollows in the woods with bees, ruined them, broke out honeycombs and carried home. This activity required the observation, care, experience, and, as every hunt, courage and bravery. People who hunted honey, considered skilled and brave. Later, in order not to destroy the bees in hollow trees – lime trees, pines, cedars – they started to cut down or cut out pieces. Access to the nest greatly facilitated. Not all honey was taken away, left some for the bees and re-covered hollow. 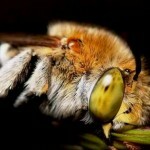 A lot of bees tend to breed in pine forests. Beekeepers hollowed hole in no hollow thick ancient trees specially. 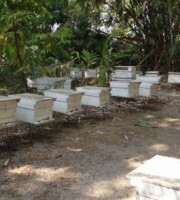 They gradually settled bees. There were special signs on tree trunks – nicks and notches – indicated to whom they belong. 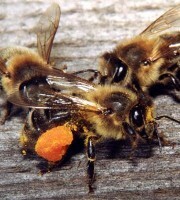 Beekeepers knew the habits of bees, were able to treat them. They did not take honey from young families so bees did not die of hunger in winter, and when they had to shoot swarms – young families, put the bees in prefab boards. They learn it from generation to generation. The family traditions were sacredly protected and preserved. There are still villages and hamlets, the name of which indicates that their inhabitants were engaged in collecting honey. Beekeepers in ancient times were a whole class and were free men, even under serfdom. 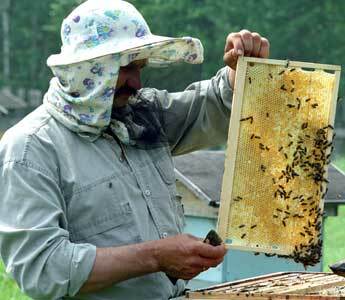 Bee-keeping has traditionally been a male activity. 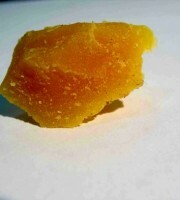 It was conditioned by the difficulty of extraction of honey, by the risks people faced in the woods. Over time, beekeepers began to keep the bees in the hives, near the house, in the nest boxes – pieces of hollow trees, decks – thick hollowed ridges, in treeless areas – in woven straw or twigs bags. 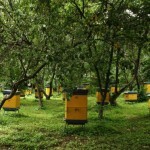 Beekeeping gradually became housework from forest harvesting as cattle breeding and agriculture. Modern beekeeping is not like old. Powerful specialized enterprises have 5 – 6 thousand bee colonies, and they do the production of honey, wax and pollinate crops as a commercial breeding business. 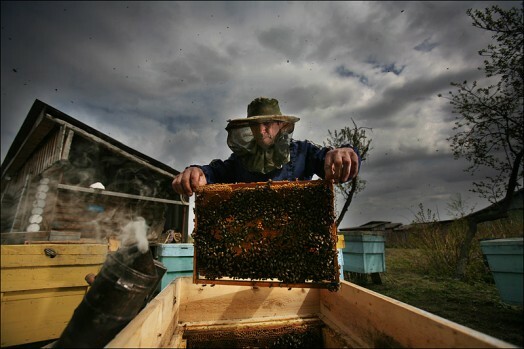 According to the talented enthusiast beekeeper P.L.Snezhnevsky, beekeeping has the ability to capture the whole person, if he is a naturalist at heart, prompting him to study science related to beekeeping, to better learn the secrets of the hive. Aristotle and Darwin paid tribute to the bee . Many poems and fables, serious philosophical treatises, articles and books of different times and peoples have been written about the hard-working bee. Polish beekeeper Ya.Dzerzhon, American beekeeper, inventor of multi-hive L.Lagstrot gained international fame. Yet still honeybees remain a mystery of nature. “Although these wonderful creatures opened to us some of their secrets, – wrote a famous German scientist and Nobel laureate K.Frish – those mysteries that they are asking us, are inexhaustible.” Bee – one of the most fascinating objects of knowledge of nature. 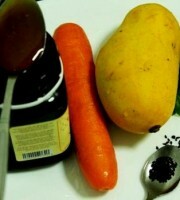 It is studied and studied by naturalists, biologists, chemists, doctors, philosophers and poets. 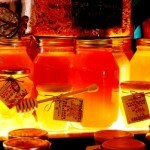 Beekeeper – a universal specialist. 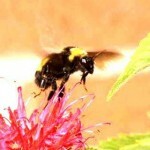 Caring for bees – is active rest, it improves health, strengthens the body, increases efficiency. An apiary isoften called home spa. Indeed, the pure clear air of apiary, heavily infused with scents of herbs, fresh sweet honey scent of pollen, propolis ester, reduces fatigue, restores and adds strength, heals. 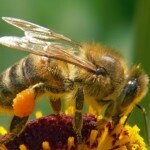 Honeybees – the tool is very complex, and it would be naive to expect that one can successfully beekeeping without sufficient knowledge of their nature. 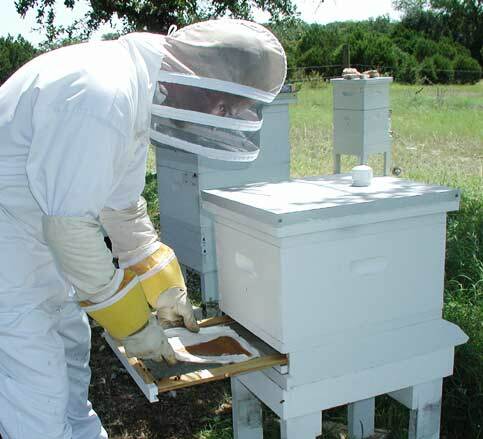 Beekeeper must also be able to operate machinery, drive a car and a tractor, to understand the electrical, have carpentry skills to make or repair hives. 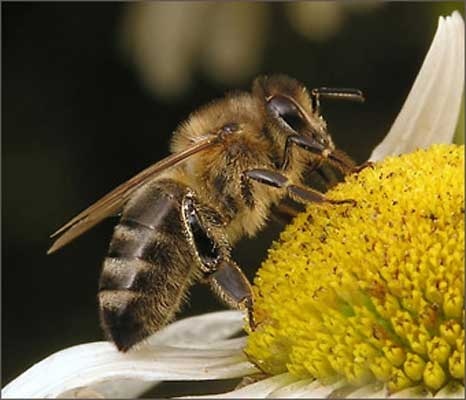 He needs agronomic knowledge: where and on what soils honey plants grow, when in bloom, when and at what the weather they secrete nectar, which area they cover and so on; or even in good years you can go without honey. 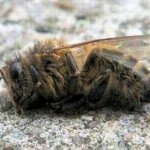 You can not keep the bees without knowledge about the diseases of bees. 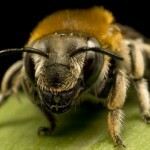 Beekeeper – a universal specialist. He is a livestock, and agronomist, and a mechanic and engineer, and naturalist, and craftsmen, and even a veterinarian. 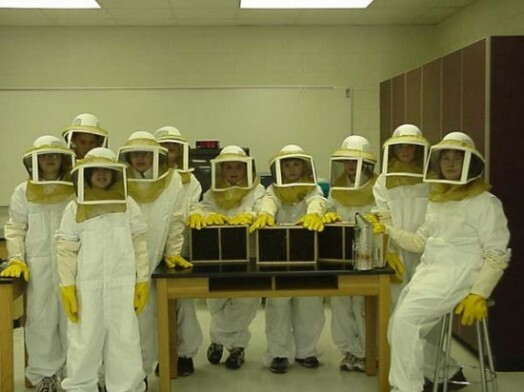 Beekeepers are prepared in many rural vocational-technical schools and agricultural colleges. There are also agricultural universities and the Academy of beekeeping. I was always interested how to keep the bee hives. Now I know.